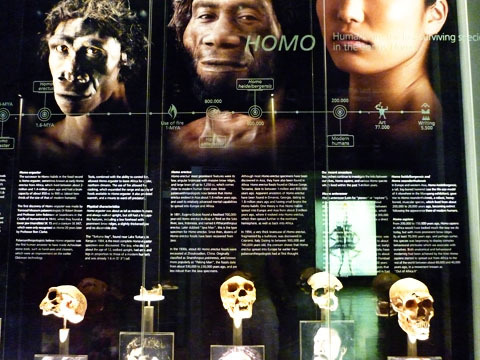 I’ve been wanting to tell you about the Cradle of Humankind for ages. Considering that we visited it for the first time in early 2010, almost two years ago. The cradle of our South Africa adventure, if you will. 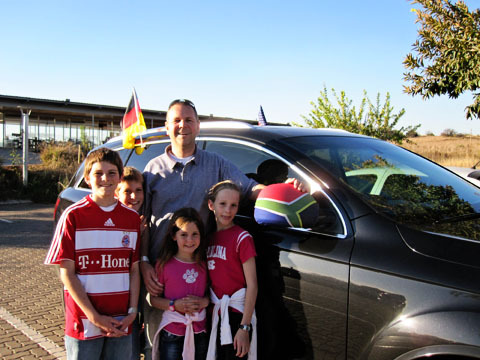 Noisette, the kids, and our World-Cup-ready car; can’t believe this was almost 2 years ago! 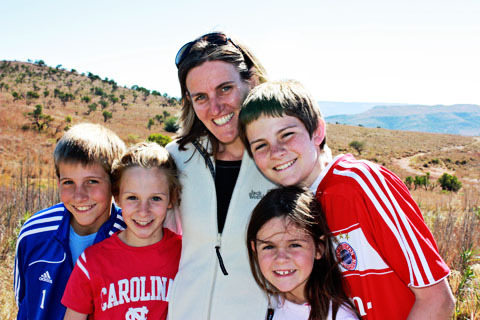 It was May of 2010 when we set off for one of our first outings in South Africa, a balloon safari. More on that later. Johannesburg was gripped by World Cup fever and I remember this because we lost one of our Germany flags when Impatience opened the window while we were driving. Big drama. 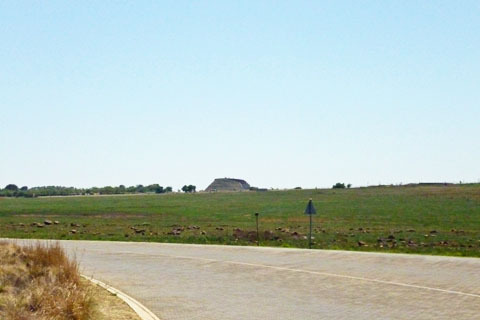 Our first stop was the Maropeng Visitor Centre, about an hour away from Johannesburg towards the Northwest. 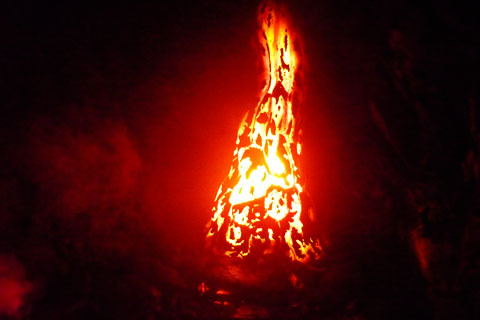 It doesn’t look like all that much when you approach it, sitting there in the middle of nowhere or so it seems. Just a large mound of dirt. But from its backside, it turns out to be an impressive building of a rather interesting architecture. 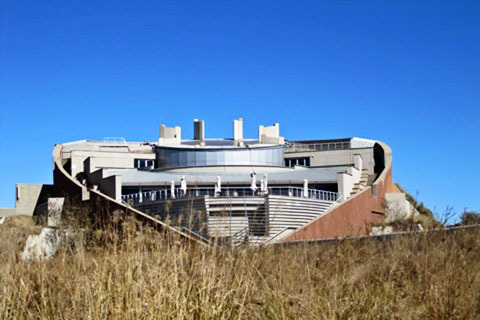 It’s a bit hard to explain what exactly Maropeng is, so you best look at the pictures below to get an impression. I’d say it most closely resembles a hands-on museum (don’t expect too much) or maybe a mini (emphasis on mini) Epcot Center. That’s because you get to ride through the history of the world, in a boat of sorts, past icebergs and fires. The boat ride doesn’t last terribly long and that’s the end of Epcot-esque educational rides at Maropeng. From then on out you’re on foot, exploring and looking at displays at your own pace (I’d say a total of two hours is about adequate if you’re planning your visit). 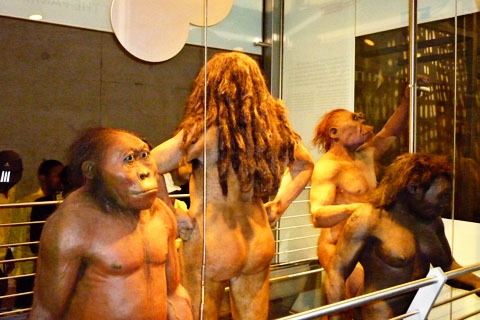 Reminds you of “Night at the Museum,” doesn’t it? 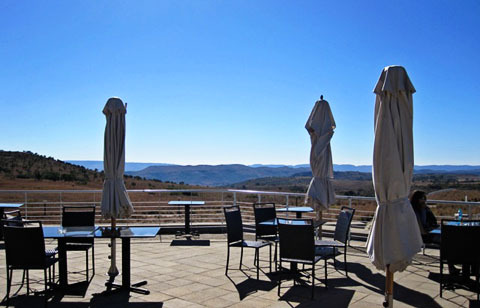 My favorite part of Maropeng was the terrace in the back where one can sit and sip cappuccinos while taking in the most magnificent view in Gauteng. 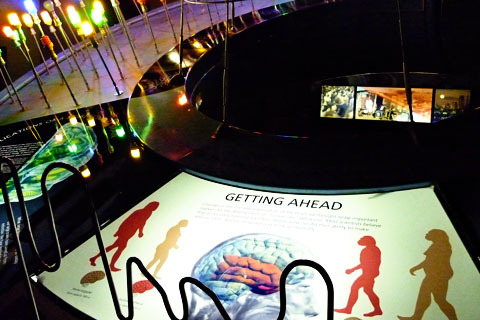 Not far from Maropeng you will find the Sterkfontein Caves, site of one of the greatest finds in the history of excavation, the near complete skull of one of our human ancestors, Mrs. Ples, as she has since become known. I find it mind-boggling that that skull is over 2 million years old. And that they actually have a way of measuring that. The caves are quite spectacular in their own right, with plenty of stalactites and stalagmites (don’t ask me which one is which). 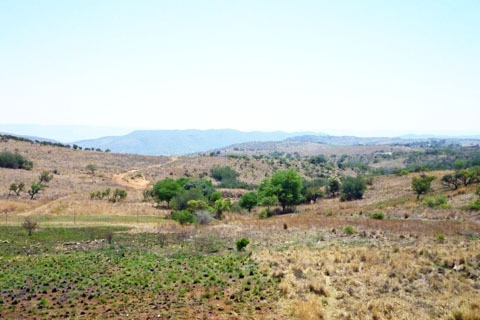 The whole area is called the Cradle of Humankind because it’s one of the richest sites in the world in terms of early hominid finds. 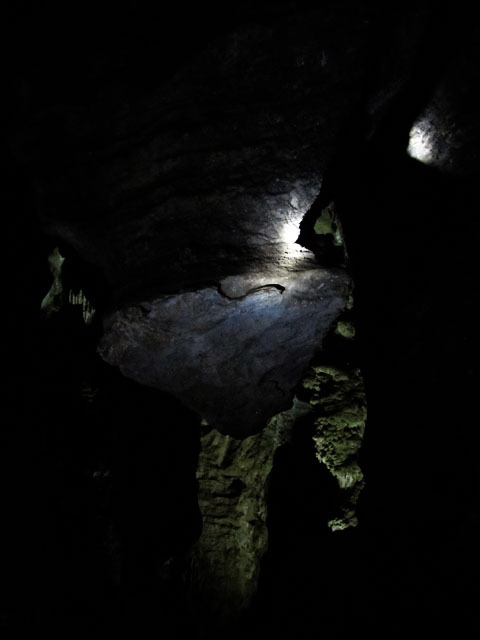 While you’re already out there, it’s definitely worth visiting the caves as well as the visitor centre, and you get a discount when purchasing a combo ticket. Just make sure you break it up with a nice big lunch on the Maropeng terrace, or otherwise you will saddle yourself with some whiny kids. So much for the educational side of our trip. Stay tuned for the fun part, our balloon safari over that beautiful landscape above, which we embarked on the following day. 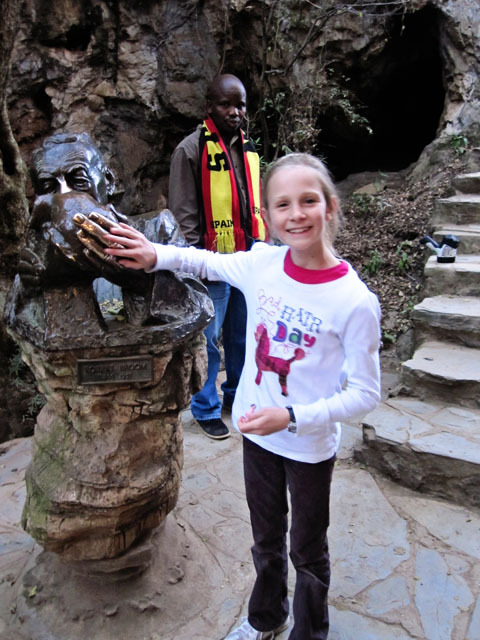 This article is part of Joburg Expat’s What To Do in Joburg series. Next PostNext Me? Getting into a Balloon?